Large ball for precise fingertip control. Easy access buttons. Industrial grade design. Installs using PS/2 interface port. Light gray case, Light gray ball. Large ball for precise fingertip control. Easy access buttons. Industrial grade design. Installs using USB interface port. Black case, Black ball. Large ball for precise fingertip control. Three easy access mouse buttons. 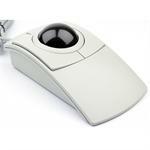 A great desktop trackball for your home or office. Installs using PS/2 or USB interface port. Beige case, Beige ball. 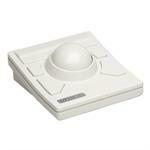 PC-TRAC 1150 Trackball, PS/2-USB More Info Large ball for precise fingertip control. Three easy access mouse buttons. 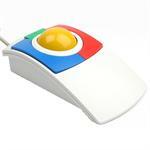 A great desktop trackball for your home or office. Installs using PS/2 or USB interface port. Beige case, Black ball. Large ball for precise fingertip control. Three easy access mouse buttons. Colorful, great for child's home computer. Installs using PS/2 or USB interface port. White case, Yellow ball. Large ball for precise fingertip control. Three easy access mouse buttons. Colorful, great for child's home computer. Installs using PS/2 or USB interface port. White case, Yellow ball. This switch adapted model has the ability to use external buttons. Large ball for precise fingertip control. Three easy access mouse buttons. 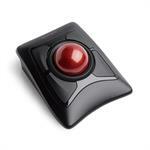 Striking all black desktop trackball for your home or office. Installs using PS/2 or USB interface port. Black case, Black ball. Made in the USA!!! Large ball for precise fingertip control, selectable resolutions "on the fly". Trackwheel scrolling roller. Three easy access mouse buttons. Stainless steel ball suspension. Made in the USA!!! 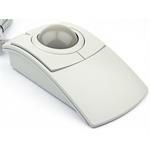 Large ball for precise fingertip control, selectable resolutions "on the fly". Trackwheel scrolling roller. Three easy access mouse buttons. This model contains a Backlit Translucent Blue Ball that Glows a Vibrant Blue. Made in the USA!!! 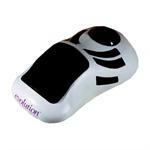 Large ball for precise fingertip control, selectable resolutions "on the fly". Trackwheel scrolling roller. Three easy access mouse buttons. This model contains a Backlit Translucent Red Ball that Glows a Vibrant Red. Made in the USA!!! Large ball for precise fingertip control, selectable resolutions "on the fly". Trackwheel scrolling roller. Three easy access mouse buttons. This model contains a Backlit Transparent Blue Ball that Glows a Vibrant Blue. Large ball for precise fingertip control. Three easy access mouse buttons. 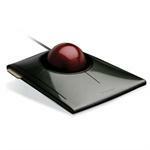 Striking all black desktop trackball for your home or office. Installs using USB interface port. Black case, Black ball. Made in the USA!!! Large ball for precise fingertip control, selectable resolutions "on the fly". Trackwheel scrolling roller. Three easy access mouse buttons. Stainless steel ball suspension. 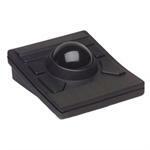 Striking all black desktop trackball for your home or office. Large ball for precise fingertip control. Three easy access mouse buttons. 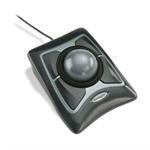 A great desktop trackball for your home or office. 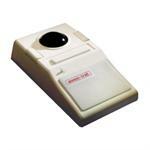 Installs using PS/2 or serial interface port. Beige case, Gray ball. Large ball for precise fingertip control. Six easy access programmable buttons. Industrial grade design. Installs using USB interface port. White case, Black ball. Large ball for precise fingertip control. Three easy access buttons. Industrial grade design. Installs using USB interface port. Beige case, Black ball. Large ball for precise fingertip control. Four buttons. Scroll ring. 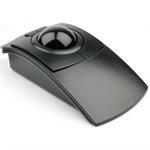 A great desktop trackball for your home or office. Installs using PS/2 or USB interface port. Black case. Gray Ball. 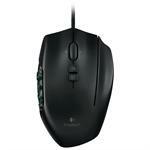 The Expert Mouse Wireless Trackball gives you the freedom to be hyper-productive without being limited by a USB cable. The trackball can be paired through Bluetooth® 4.0 LE to save a valuable USB port, or connected via USB nano receiver. Small compact design, great for on the move. Wireless 2.4GHz nano receiver never needs to be taken out when placing your laptop in a bag. Scroll up and down pages with its Unique touch scrolling. Large ball for precise fingertip control. Four multi-function buttons. Rotate ball to scroll. 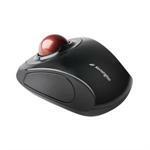 A great desktop trackball for your home or office. Installs using USB interface port. Black case. Red Ball. With LED backlighting and fully programmable G-keys, this is your essential tool for serious gaming.